1. 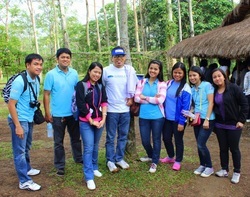 VCSHS Science Teachers Attended the Teacher Enhancement Program in Ateneo de Manila University (ACED). 2. Ms. Juliana D. Tamayo awarded with the “Most Outstanding Teacher” in Science for S.Y. 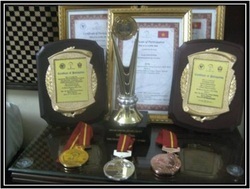 2010-2011 and Superintendent’s award for winning in the international contest. 7. Ms. Teresa G. Atanacio - Champion in the Regional Strategic Intervention Material for 1st year level, October 2010, in Manila. 8. Mr. Verlito Bua - 2nd Runner-up in the Regional Strategic Intervention Material for 4th year level, October 2010, in Manila. 9. Mr. Jaime De Vera, Jr., awarded with Superintendent’s award for winning in the international contest. 1. Selected Fourth Year Students attended the Science, Math and Engineering Camp hosted by the DOST-SEI in May 2010. 2. Kenneth Valenzuela and Ralph Geronimo participated in the National Water Rocket Competition and Guested at Unang Hirit-GMA 7 morning show during the exhibition of the water rocket..
3. 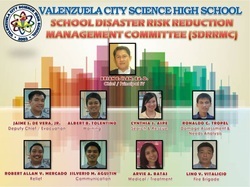 Jerome Pablo qualified in the Regional Science Fair for cluster II in October 2010, in Manila. 4. Joshua Cedric Taguinod - Champion in the Regional Science Quiz for 1st year level, October 2010, in Manila. 5. Madelene Datingginoo - 3rd runner-up in the Science Investigative Project for Cluster II, Regional level, October 2010, in Manila. 6. Camille Faye R. Frias - Gold Medalist: Energy saving Solution category, 7th International Exhibition for Young Inventors 2010, December 16-18, 2011, Hanoi, Vietnam. 7. Jorabelle Costales - Silver Medalist: Environmental Solution category, 7th International Exhibition for Young Inventors 2010, December 16-18, 2011, Hanoi, Vietnam. 8. Anthony Carpio - Special Award: Most Creative Project awarded by VIFOTEC-Vietnam, 7th International Exhibition for Young Inventors 2010, December 16-18, 2011, Hanoi, Vietnam. 9. Joshua Cedric Taguinod – 2nd runner-up in the National Science Quiz for 1st year level, February 2011, in Sta. Cruz Laguna. 10. Mr. Jaime De Vera and Camille Faye Frias were invited as guest in Unang Hirit/UH Tambayan, GMA 7 program in February 2011. 11. Maila Angela Bernardo, Jerome Pablo and Adrianne Joseph Estrella, won 1st runner-up in the division quiz bee about AIDS, organized by the Valenzuela City Health Office. 12. Mae Criste Fajiculay, Elizha Marie Mendros, and Robyn Mitchelle Corpuz won 2nd runner-up in the UP GEOID Quiz, in March 2010, U.P. Diliman, Quezon City.